Google Sheets is the new Google Spreadsheets software. 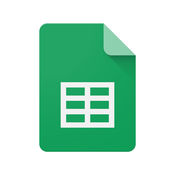 Google Sheets is available on all your devices and has all the features you come to expect from spreadsheet software. Sheets also allows you to collaborate with others in real time. Returns a range of values from a spreadsheet. The caller must specify the spreadsheet ID and a range to read.